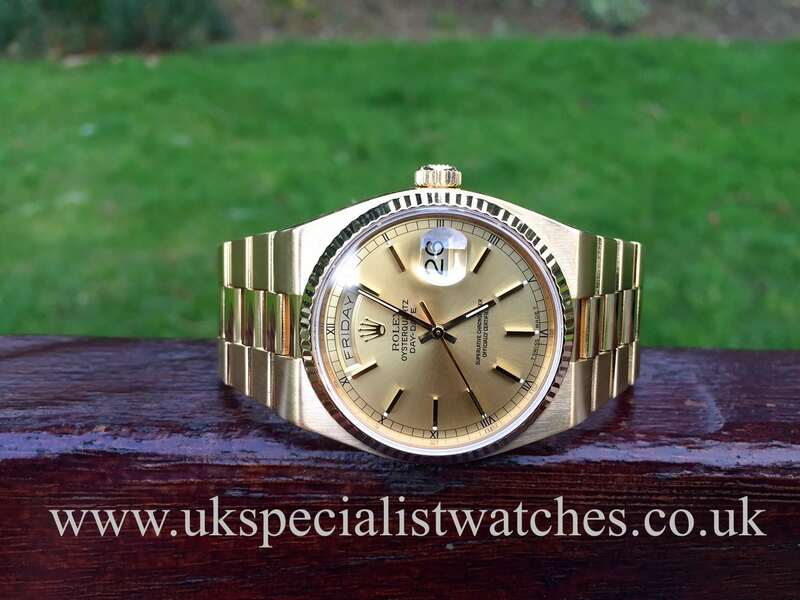 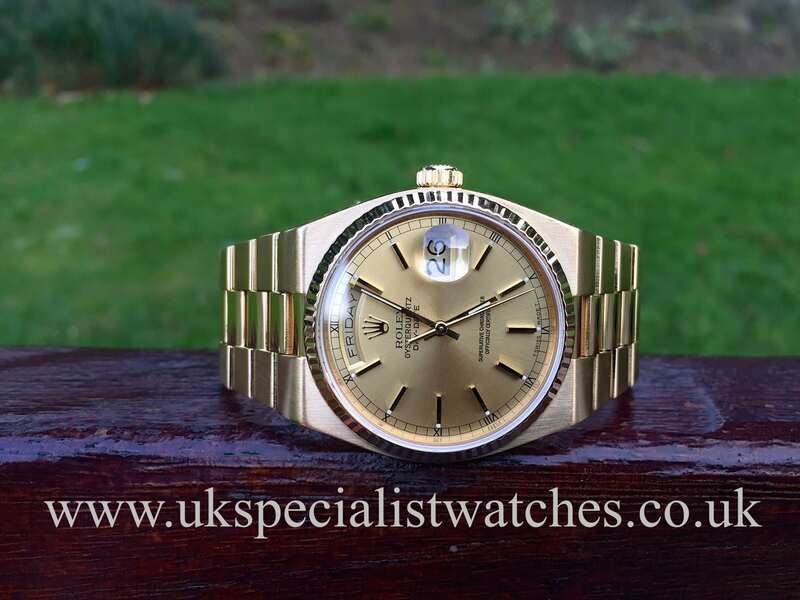 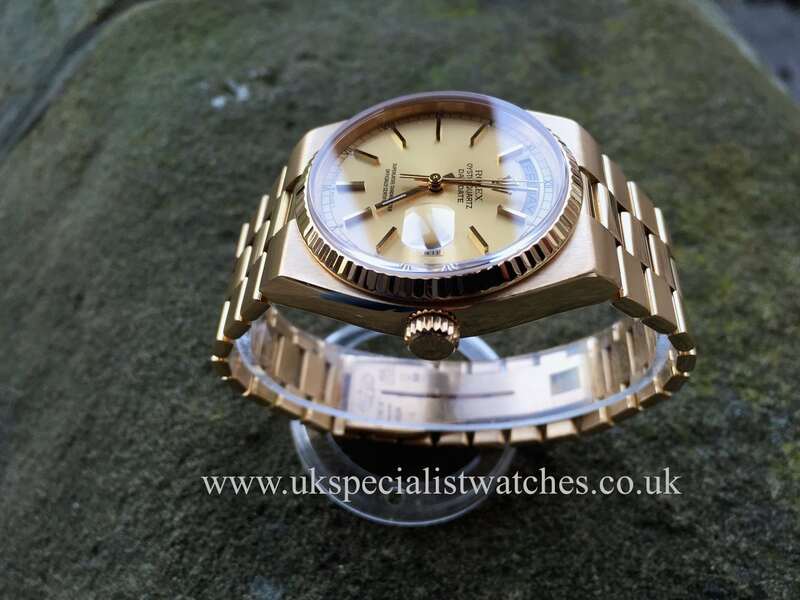 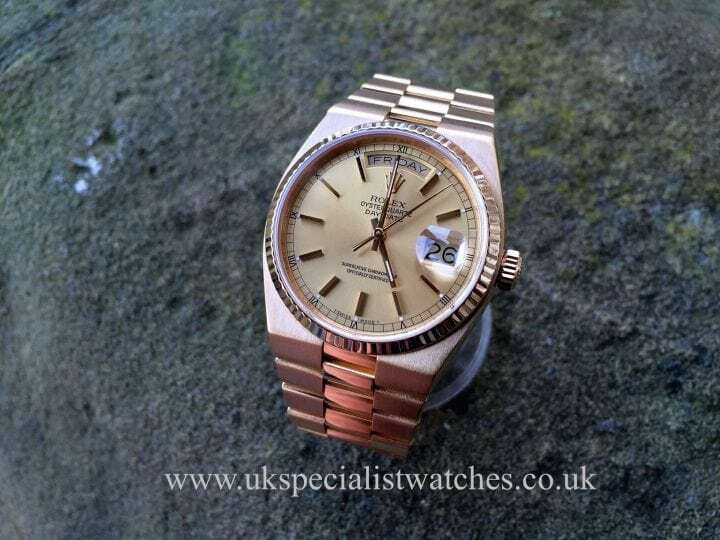 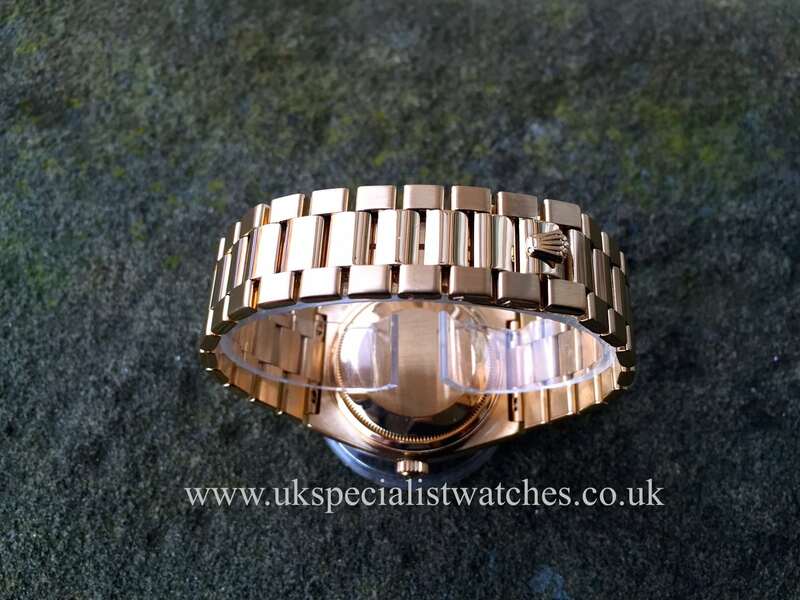 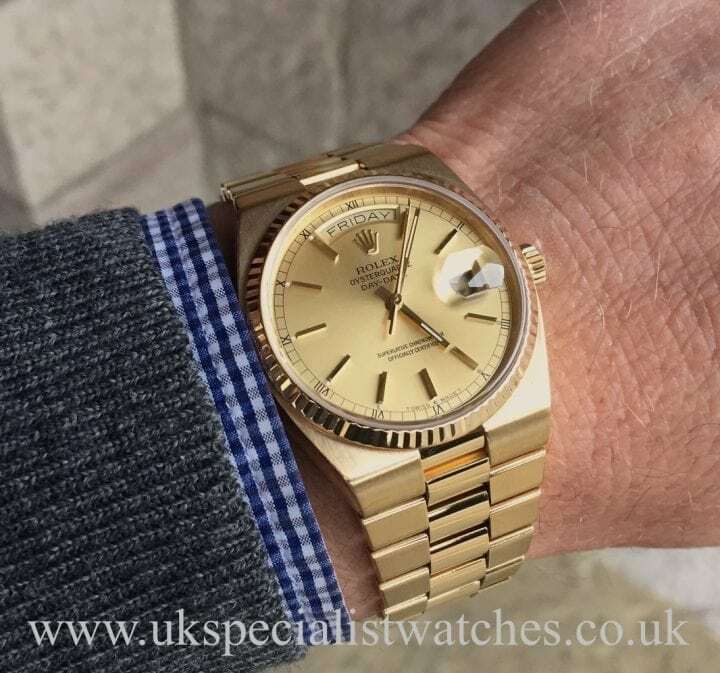 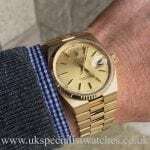 Here we have an absolutely immaculate Rolex Oyster Quartz Day-Date with a solid 18ct gold 36mm case, fitted to the unique oyster quartz brushed and polished 18ct gold bracelet. 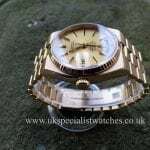 Champagne dial with gold baton hour markers, gold fluted bezel. 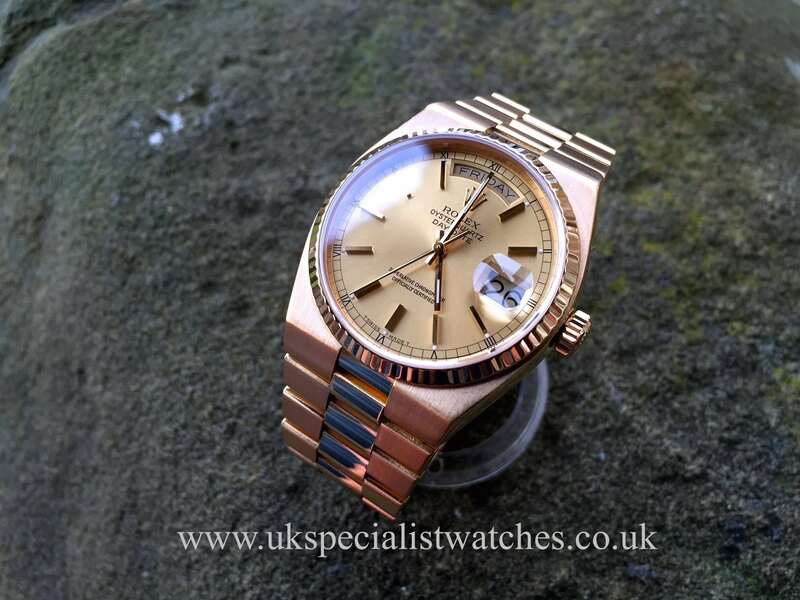 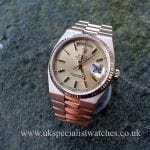 The Rolex Oyster Quartz is now certainly one of the most desirable quartz watches ever made. With a distinctive retro 70′s style it is thought that fewer than 25,000 watches were ever made and the Day-Date being the rarer of the Oyster quartz models is one of the most limited ranges in Rolex’s production history! 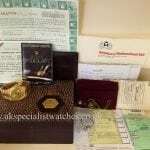 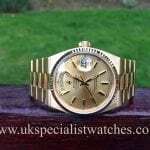 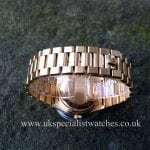 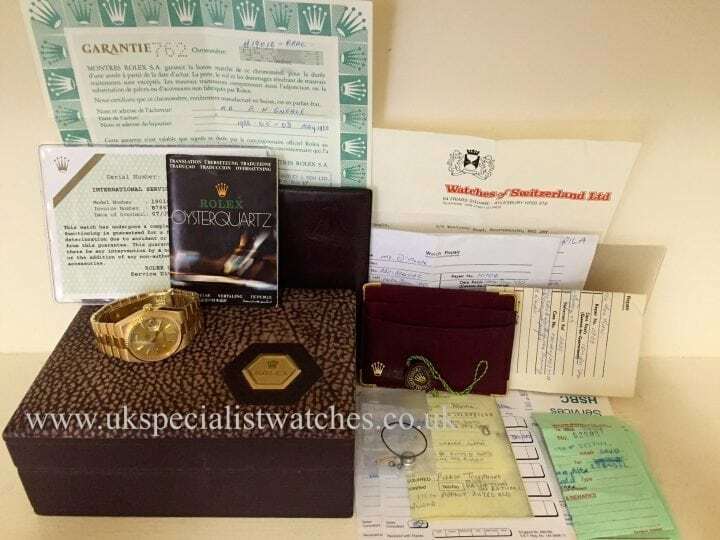 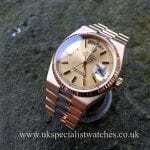 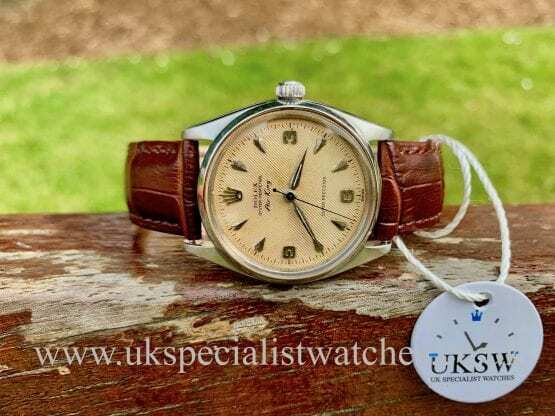 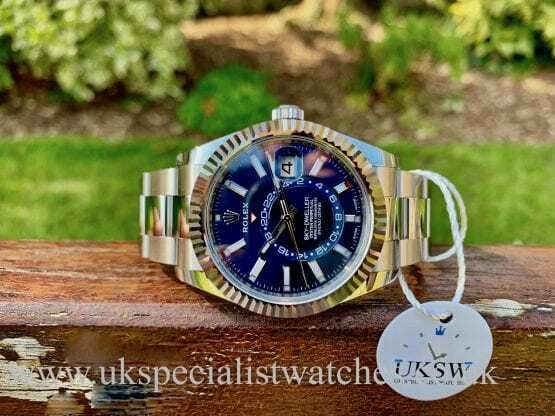 Our piece comes complete with all original box and Papers, wallets, swing tag, and an abundance of service history including a service completed at Rolex UK in 2004, stamped papers supplied new May 1988.